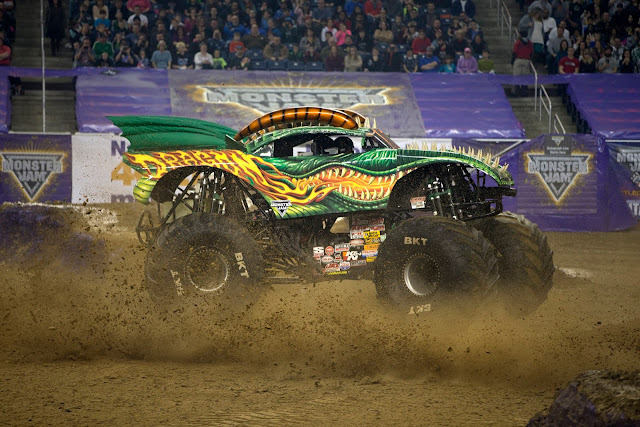 Where Roots And Wings Entwine: Monster Jam® is coming back to Cardiff in 2019! Monster Jam® is coming back to Cardiff in 2019! On your marks, get set, go… The larger-than-life sport that always leaves you entertained, Monster Jam® from Feld Entertainment is returning to Cardiff’s Principality Stadium to deliver an unexpected, unscripted and unforgettable experience for the whole family. 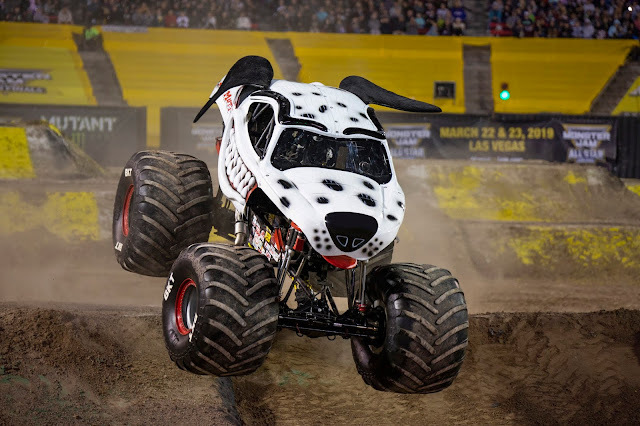 Claire Ballard from Monster Jam commented “with the continued success of previous shows in Cardiff it brings us great pleasure to be returning to the Principality Stadium. 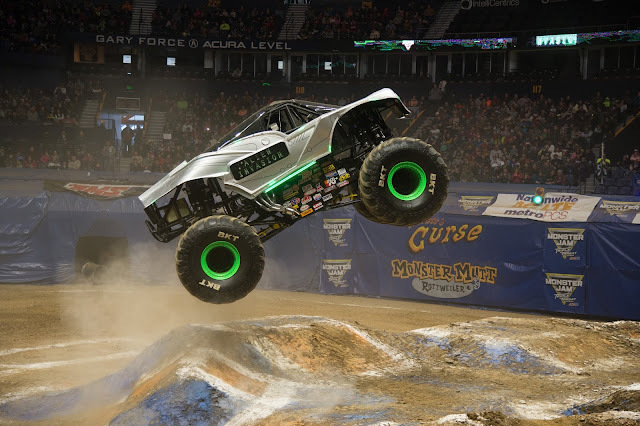 We can’t wait for fans to experience a show like no other - you will never forget the first time you saw a Monster Jam truck fly across the air”. 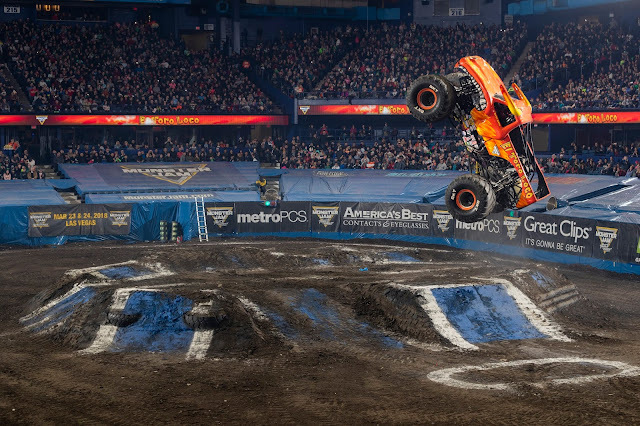 These world-class athletes have mastered not just the physical strength and mental stamina required to compete but also the crucial dexterity to navigate these 12,000 pound machines to amaze audiences with wheelies, donuts, cross ups and big air stunts. 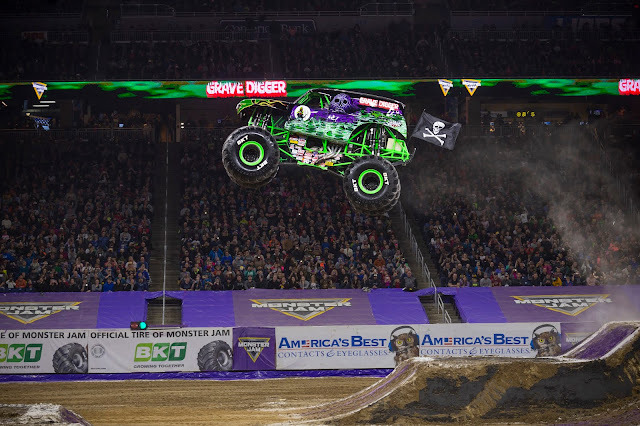 * Monster Jam trucks stand 12-feet tall and 10-feet wide, sitting atop 66-inch-tall tires and weighing a minimum of 12,000 pounds. * 1,500 to 2,000 horsepower is generated by these larger than life trucks that are capable of speeds of up to 70 miles per hour. * They can fly up to 125 to 130 feet in distance and up to 35 feet in the air. If you want to get an idea of how amazing a Monster Jam show is take a look at our experience of Monster Jam UK 2018 here. You can also learn more about the magnificent Monster Jam trucks here. This looks so much fun, hope it's coming to London! Ooo this looks fun! They hold something similar near me every year, I'll have to try get tickets one year!